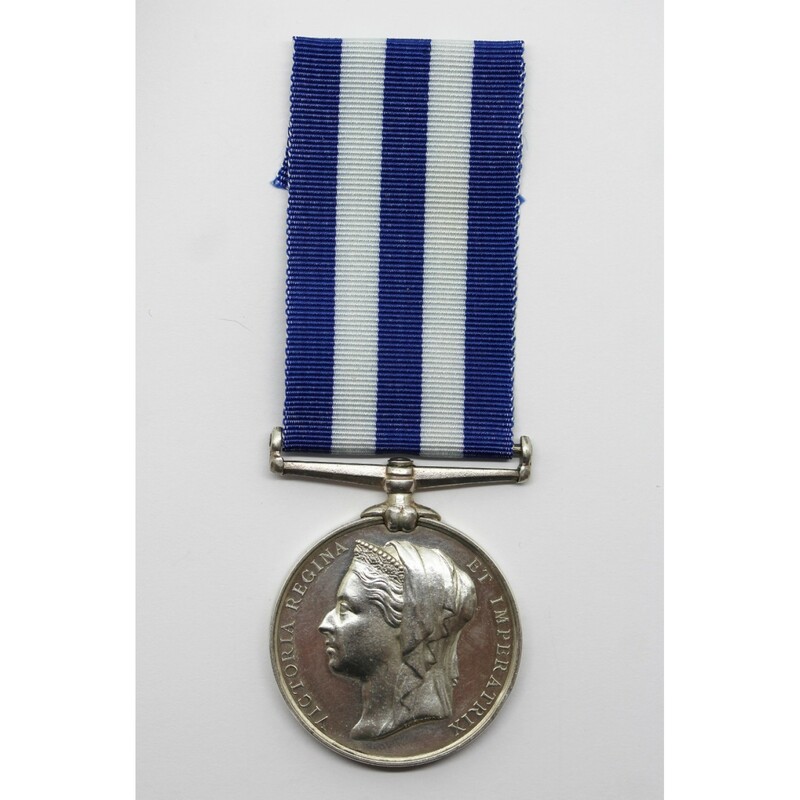 A rare Kassassin casualty Egypt medal to Gunner Henry Edward Newton, Royal Marine Artillery. 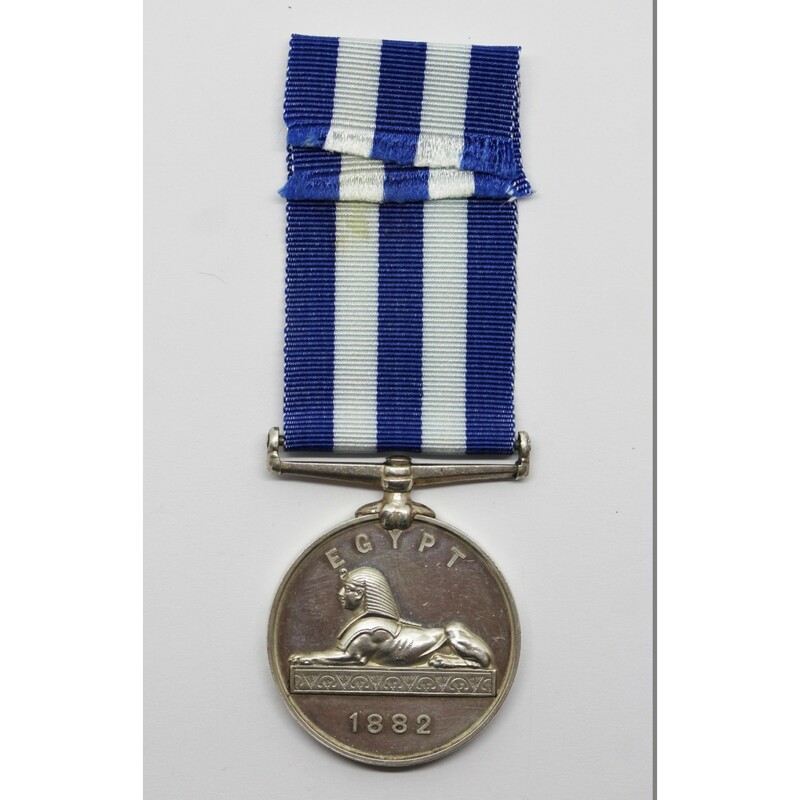 Egypt Medal 1882 named to H.E. Newton, Gunr. R.M.A. 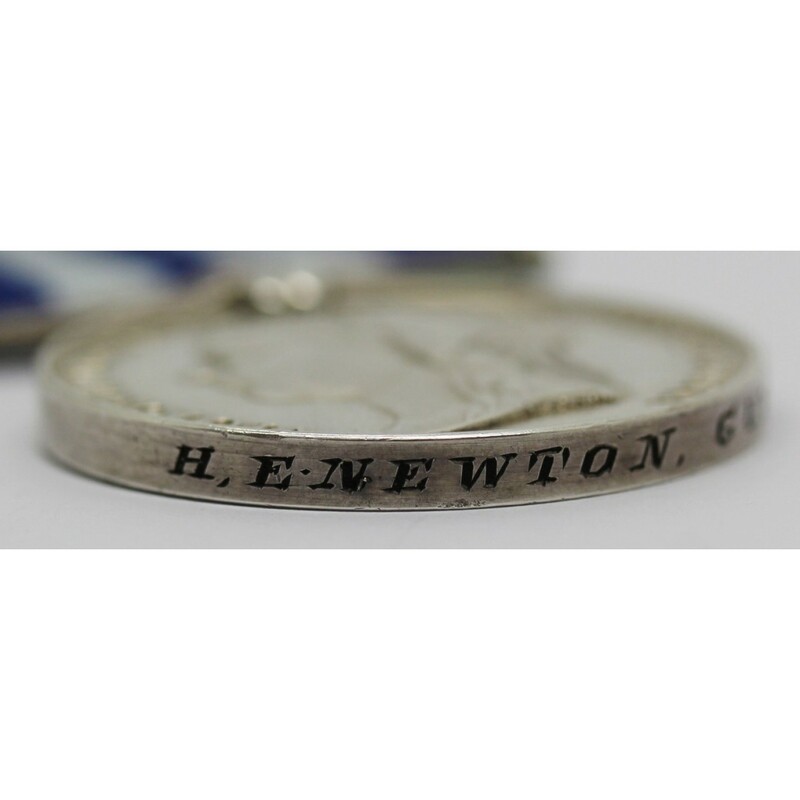 Henry Edward Newton was born in Chatteris, Cambridgeshire. 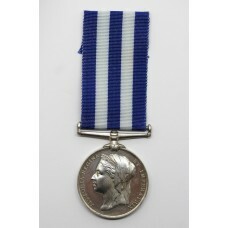 In 1882 he was serving with 12 Company Royal Marine Artillery (Portsmouth Division) and embarked for service in Egypt. 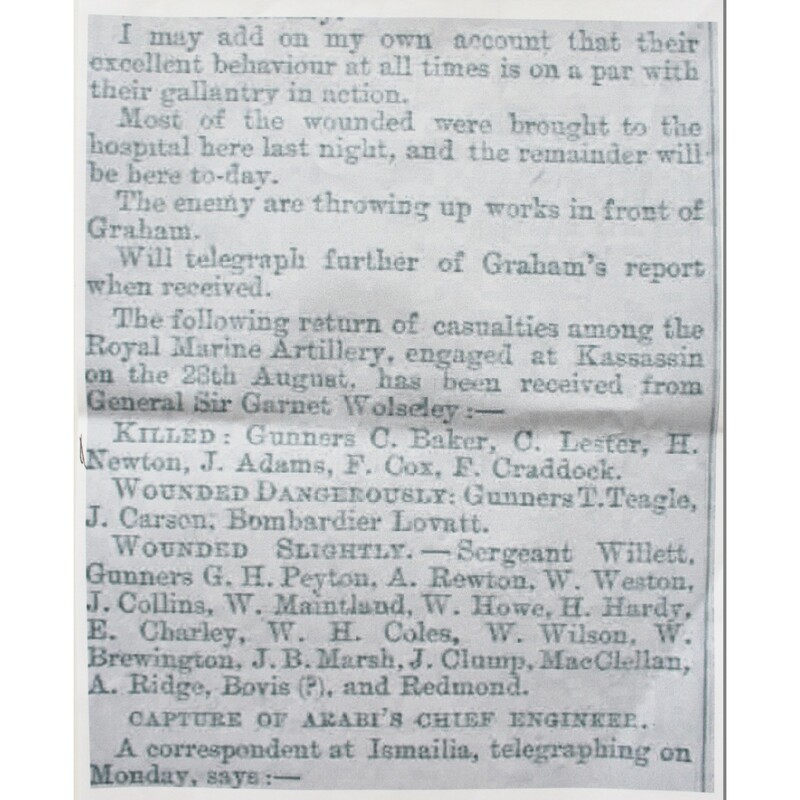 He was killed in action during the action at Kassassin on 28th August 1882. A total of 6 RMA gunners were killed with a further 22 wounded. 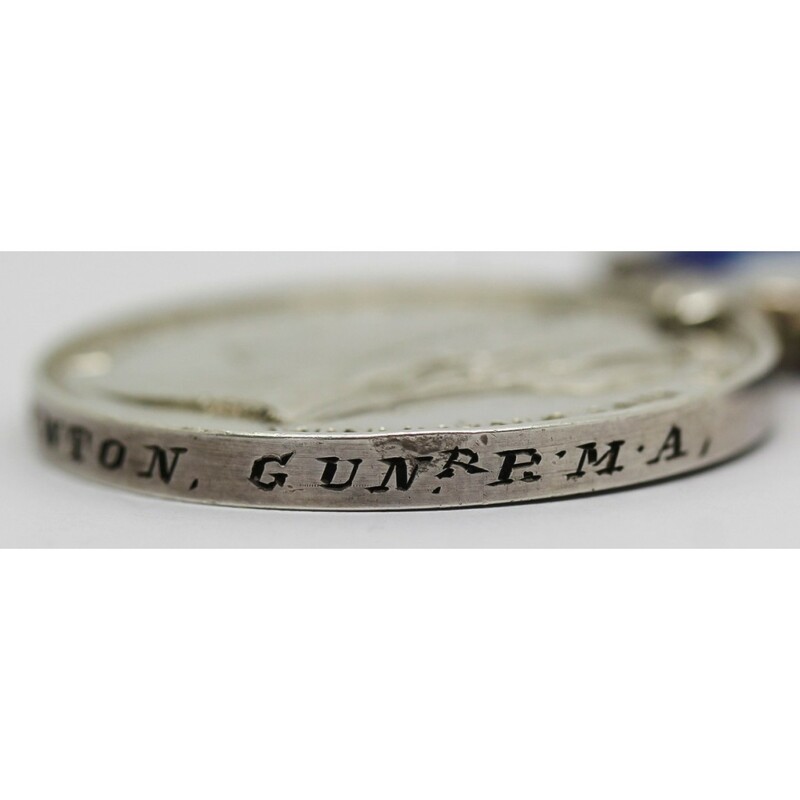 The medal has one minor edge knock above the NR of GUNR butis otherwise in very good condition. Please see photos. "On 28th August the Egyptians made a serious attack on Kassassin astride the canal, but were driven back, the cavalry inflicting severe punishment. 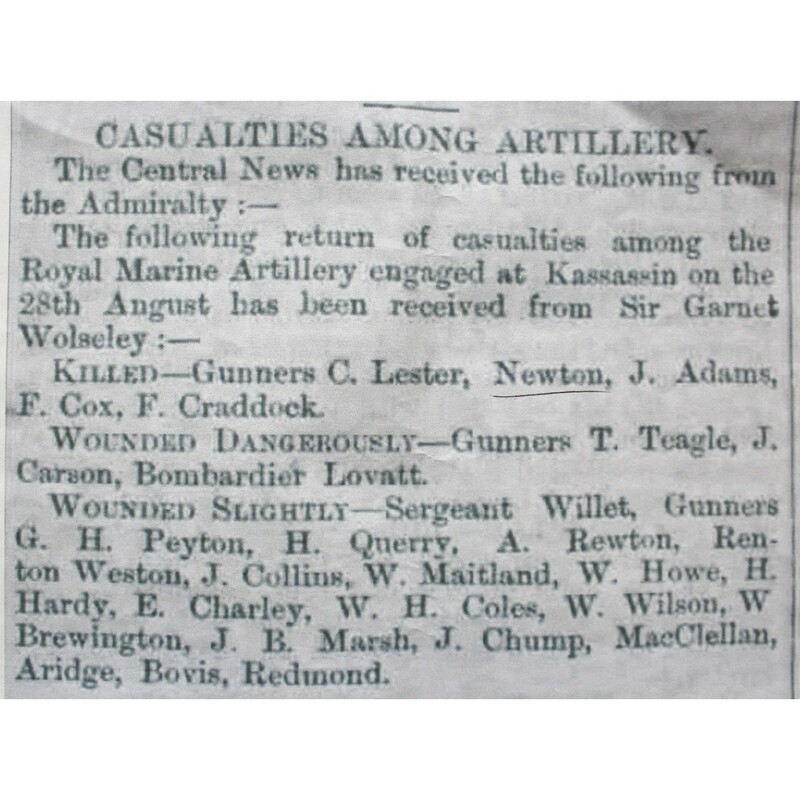 General Graham now had about 1,875 troops, including 427 Royal Marine Artillery (RMA), with two guns, fronting north west and west. At 1100 a large force of the enemy was reported moving round the right flank behind the ridge and two heavy guns opened fire on our left front. At 1500 the Mounted Infantry reported the enemy were retiring and the troops were ordered back to camp. At 1630 the enemy advanced again in great force, their skirmishers supported by Artillery overlapped on the left. The Royal Marine Artillery were posted on the south bank of the canal facing north to north west , in the centre were the Duke of Cornwall's Light Infantry, about 800 yards in the rear of the RMA with 2nd Bn York and Lancaster Regiment on the right. 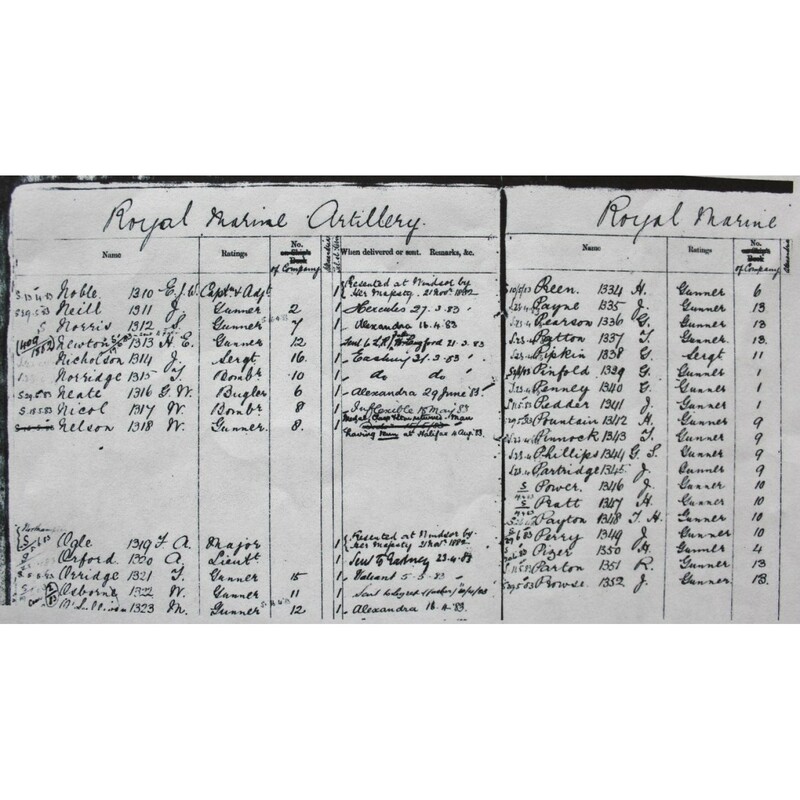 The mounted Infantry and Dragoon Guards were covering the gap between the RMA and DCLI and prevented all efforts to break through. The steady fire of RMA stopped attempts to cross the canal. At 1630 the Cavalry and RMLI Battalion at Mahsameh were sent for, and the Cavalry fell on the left flank of the skirmishers and rolled up their line. At 1700 enemy reinforcements arrived by train. Near the right of our position a captured Krupp gun had been mounted on a railway truck and was worked by a detachment of RMA under Captain Tucker, it was admirably served and did great execution, as our other guns had ceased firing from want of ammunition, it became the target but no one was hit, man or gun, it expended 93 rounds."